William Bloom is one of the UK's most experienced teachers, healers and authors in the field of holistic development. His work has helped thousands of people. 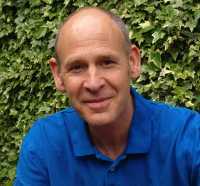 His mainstream career includes a doctorate in psychology from the LSE where he taught, ten years working with adults and adolescents with special needs, and delivering hundreds of trainings, many in the NHS. His holistic background includes a two-year spiritual retreat living amongst the Saharan Berbers in the High Atlas Mountains, 30 years on the faculty of the Findhorn Foundation, co-founder and director for 10 years of the St. James's Church Alternatives Programme in London. He is a meditation master and his books include the seminal The Endorphin Effect, Working with Angels, Feeling Safe and Psychic Protection - and most recently Soulution: The Holistic Manifesto. He is director of The Holism Network and well known for his uniquely clear, warm and friendly style of teaching. The Peace Mala project is a wonderful way of healing conflict and celebrating the wonder and beauty that we all experience. I really wish it huge success as it brings together people of different faiths and no faith. I'll be supporting it.